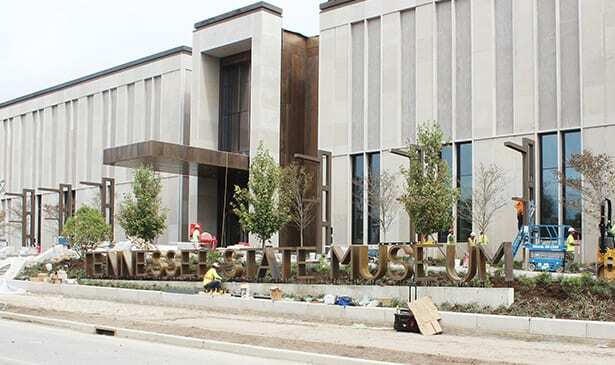 State Museum Opens on Rosa Parks Blvd. 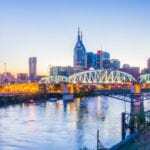 NASHVILLE, TN — A new vision for the Tennessee State Museum opened Thursday, October 4, 2018 in a 137,000-square-foot building at the northwest corner of the Bicentennial Mall. Previously in the James K. Polk State Office Building, the museum at 1000 Rosa Parks Blvd. celebrates a 1:30 p.m. Thursday opening with no admission charge to new exhibits. The grand opening continues through Monday. “Since we first started working on this project, the plan was to build a 100-year museum to showcase the rich history of our state and provide a memorable experience to visitors,” Gov. Bill Haslam said. The stories include: Southeastern Indians and Overmountain People; enslaved and free African Americans; the Creek War and War of 1812; Andrew Jackson, the Trail of Tears; President Polk, westward expansion; African-Americans’ struggle to share in new prosperity; and the development of music industries that shaped the world’s view of Tennessee. In 1937, a museum for World War I artifacts and other collections was created in the War Memorial Building. In 1981, it was moved to 120,000 square feet (half for exhibits) in the Polk building which includes the Tennessee Performing Arts Center. In 2015, the state provided $120 million for a new building with more money from private donations exceeding $30 million. The museum’s had 115,000 visitors annually. Over 220,000 visitors are now expected annually. Oct. 4-8 hours are: 1:30-8 p.m. Thursday; 10 a.m.-5 p.m. Friday, Saturday and Monday; and 1-5 p.m. Sunday.